Wherever your outdoor adventure takes you, Sheffield can help you get there. For over 25 years, Sheffield has provided financing for outdoor power equipment, powersports equipment and trailers for SCAG, Grasshopper, and Arctic Cat / Textron products. Backed by one of the nation’s largest financial holding companies, they offer innovative financing options, friendly service and quick credit decisions. 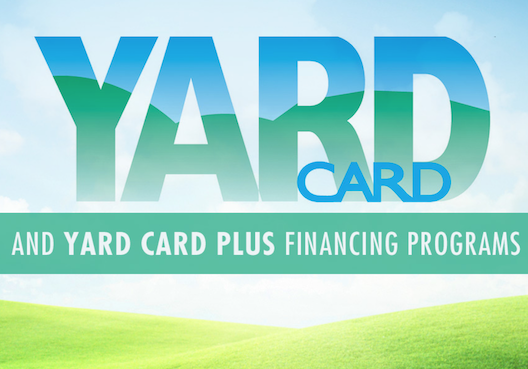 Yard Card is an industry-leading lawn & garden consumer financing program that lets Precision Equipment customers bring home what they need. TD Bank, America’s Most Convenient Bank® is one of the 10 largest banks in North America. Their business is built on delivering legendary customer experiences that are unique, convenient and hassle-free. Backed by First Western Bank & Trust, Advance Acceptance is a family-owned, full service financial center providing traditional banking products (deposit accounts and loans) as well as trust services, all lines of insurance, investments, leasing, and much more. Advance Acceptance partners with a diverse network of dealers, vendors and manufacturers across the United States to provide efficient equipment financing service for transactions of $5,000 or higher.